Emergencies, thankfully, don’t happen often. However, this means there are limited opportunities to validate the plans which are developed to determine whether they will be effective. Exercising provides some level of validation, providing a realistic yet fictional scenario against which to assure organisations, governments and the public of the capability to respond to certain situations (that said, there are many alternatives to exercises, which can be time and resource intensive). Exercise Wintex-Cimex was held in 1983 and looked at a Cold War scenario. 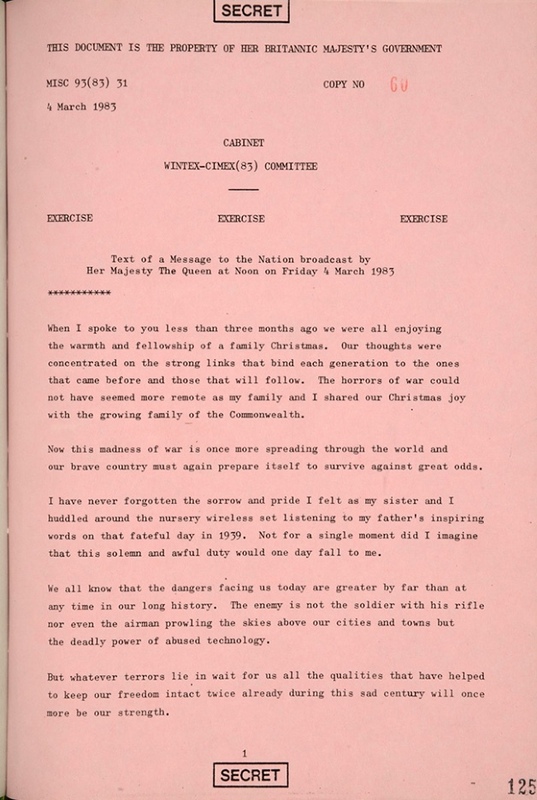 Today, the text of a speech writen for the Queen was released from the National Archives – see the images below. 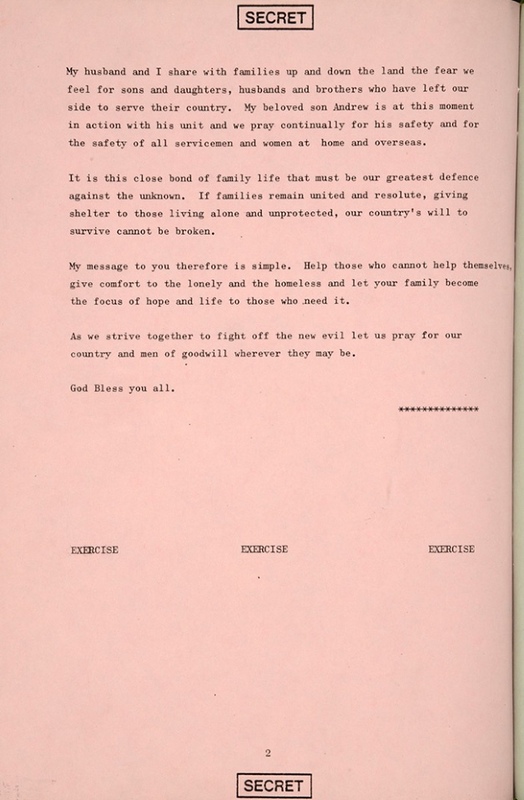 As you’d expect with a message from the Monarch on the announcement of World War 3, reassurance, solidarity and community emerge as key themes, as well as support to British troops. Whilst it was never officially used, the Queen’s message chimes very nicley with the Keep Calm and Carry On message developed during World War 2. I wonder how well this sat with the Protect and Survive messages? I have developed, facilitated and participated in a wide range of exercises at local and national level. One of the exercises saw me undertake a very similar task, writing a statement for the Mayor of London. Who knows, maybe in 30 years that will be released to similar fanfare!